At William Torbitt Primary School we want staff, children and parents/carers to create a school community that embraces the use of new technologies. We teach all of the children how to keep themselves safe online, and ensure that pupils know how to report incidents and problems confidently and straight away. At home, many children use computers to play games and learn. We want to encourage parents/carers to ensure children are supervised at all times at home, especially when accessing the internet. Please feel free to view our E-Safety Policy below. 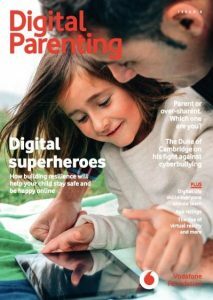 DIGITAL PARENTING MAGAZINE ISSUE 6 – OUT NOW! • When your child is using the internet at school or at home it is very important that they stay safe. We teach your child to FLAG IT, BLOCK IT & REPORT IT if they see anything on the internet they are concerned about. • Your child would have been taught at school how to stay safe when using the internet on the computer, an iPad or a mobile phone. It is also a good idea to talk about these safety issues at home with your child. T – Tell – Tell a parent or adult you trust if something you see online makes you feel uncomfortable. These websites will help you and your family learn how to stay safe when using the internet, mobile phones etc.